Bigfugitt – 5 Stars – It’s funnyish – Podcast is super fun great industry insight. Was super disappointed that I read the name wrong and it wasn’t a gun bunny podcast really hoping that Herrin person was a cross dresser. and was looking forward to his bikini pictures but alas ,it’s just a great industry podcast with knowledgeable people and fun segments. Whitannpaige – 5 Stars – Awesome cast! – Keep up the good work gun funny I love tuning into your Podcasts when I get the opportunity! 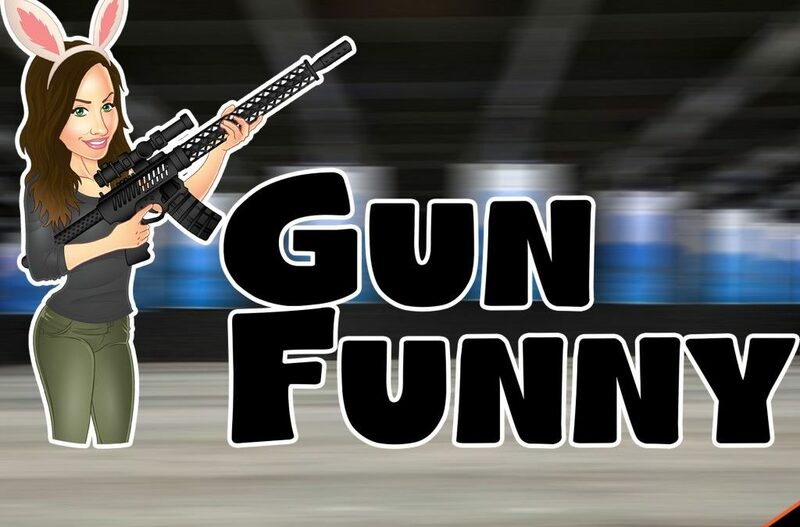 Black_beard_actual – 5 Stars – Enjoyable entertainment – Gun funny is pure entertainment while still giving quality info on guns, gear, and how to prank call! Funny people that don’t take themselves too seriously while still giving us info about the 2nd amendment. Love listening to them over music during my commute. Become a Patreon – Donate to the show and get access to our patreon only Facebook page. Depending on your level of donation, you can get access to our monthly raffle to win cool stuff, exclusive/limited edition t-shirts, a shoutout on the show, and even an opportunity to be a guest on the show.